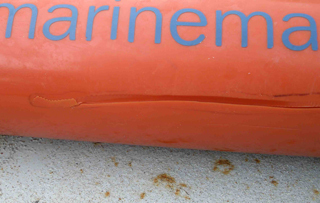 Shark bite mark on the magnetometer - note the serrated edge. 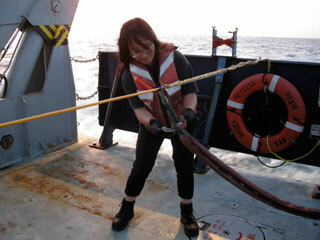 Sometimes it comes back with a shark tooth embedded in it. 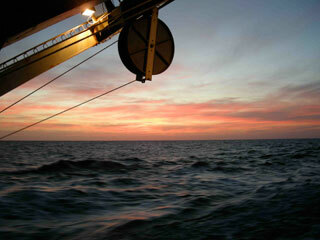 Earlier this week we performed a magnetics survey off the coast of southwest New Zealand. 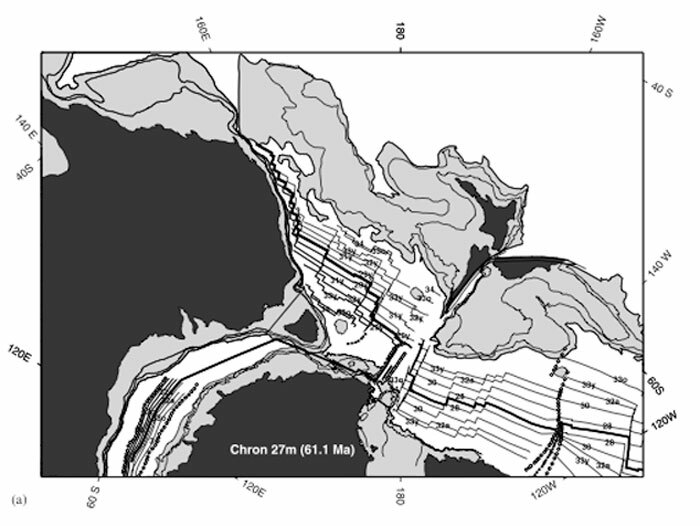 Our new magnetic data will be used by our New Zealand colleagues to piece together part of the tectonic history of New Zealand. When molten rocks cool, they freeze in a record of the Earth’s magnetic field. The Earth’s magnetic poles have reversed polarity numerous times in the geologic past, creating a distinct pattern of magnetic anomalies through time. In the 1960’s scientists discovered that the patterns of magnetic anomalies were symmetric about mid-ocean ridges, and that the same patterns showed up for oceans all over the world. 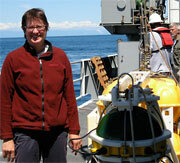 This discovery led to the theory of seafloor spreading and plate tectonics. 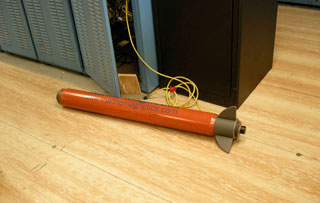 See http://www.wwnorton.com/college/geo/egeo/animations/ch2.html for an animation of seafloor spreading and magnetics. 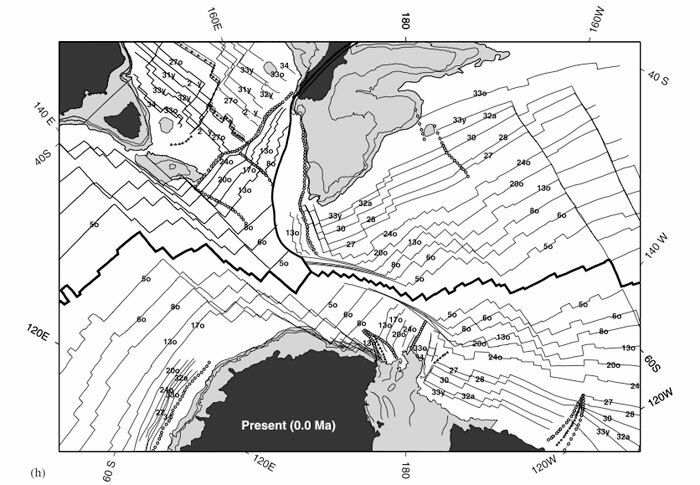 In this figure the seafloor anomalies have been used to backtrack and see where Australia, New Zealand, and Antarctica were 60 million yars ago.